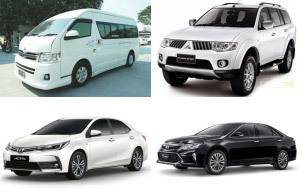 If you are looking for an efficient taxi service and car rental to a perfect travel around Phuket Island, Phuket Youngest Taxi & Travel Service, Phuket taxi with a variety of branded car. Make a reliable reservation to travel in Phuket with the low price. Best rate you are looking for!!! low price with same quality as hotel service. Guarantee good service, maintained car, and skill driver. Quality service serves to every customer. Give the finest service to both Thai and foreigner. Emphasize transfer from Phuket International Airport to all part on Phuket Island and nearby. And from everywhere on Phuket Island and nearby to Phuket International Airport. Offer a wide selection of car rental. We also provide other services as hotel reservation, tourist information, excursion, flight ticket, entertainment, etc. Try the best service from Phuket Youngest Taxi & Travel Service, Phuket Taxi located near Phuket International Airport. We guarantee you will travel in Phuket with cost saving and worthwhile for your money.